GAMEFEST IS THE CONVENTION FOCUSED ON BOARD GAMES, CARD GAMES, ROLE PLAYING AND MINIATURES. OUR MISSION IS TO BRING YOU INDUSTRY INSIDERS, HELPFUL PANEL DISCUSSIONS AND OF COURSE, PLENTY OF OPPORTUNITIES TO PLAY THE LATEST GAMES! The purpose of GameFest is “experience”. We want to offer a hands on experience by bringing the top publishers and designers to you so that you can learn the latest gaming titles from the people behind it. We also concentrate on local TableTop Designers and bring you some of the up-and-coming minds that represent the Rocky Mountain region. By offering panels, discussions and face time with people who have learned knowledge, aspiring authors can polish their ideas test their games with folks who know. We strive for intimacy and relationships in our gaming convention and hope you feel the effects of the efforts we put into bringing you a tabletop show unlike any other. 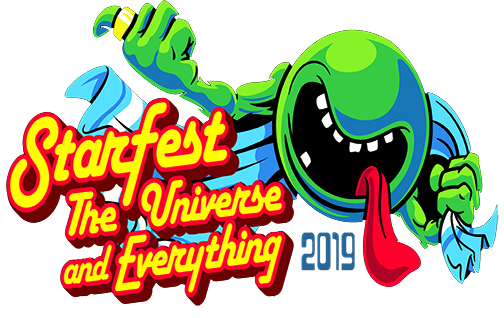 GameFest is included in your StarFest membership. “Thanks for the chance to share the gaming table and many fun meals with your extended family of Colorado gamers! I learned a few things in the panels, played new games, and made a couple friends I’ll keep”. “I was invited by Petrie’s Family Games to attend GameFest 2015 as a Guest of Honor. GameFest is a weekend convention held in Denver full of fun and gaming. In my time at GameFest, I enjoyed the relaxed, comfortable atmosphere where attendees can come play games, meet new friends, talk with designers, and learn more about the hobby. Cameron and Rebecca Crawford — along with all the members of Petrie’s Family Games — made me feel welcome and I had a wonderful time. I was able to engage with fans and gamers at panels and special events and was given All-Star treatment by everyone I met. I would definitely recommend GameFest to others and am already looking forward to returning for more fun next year.